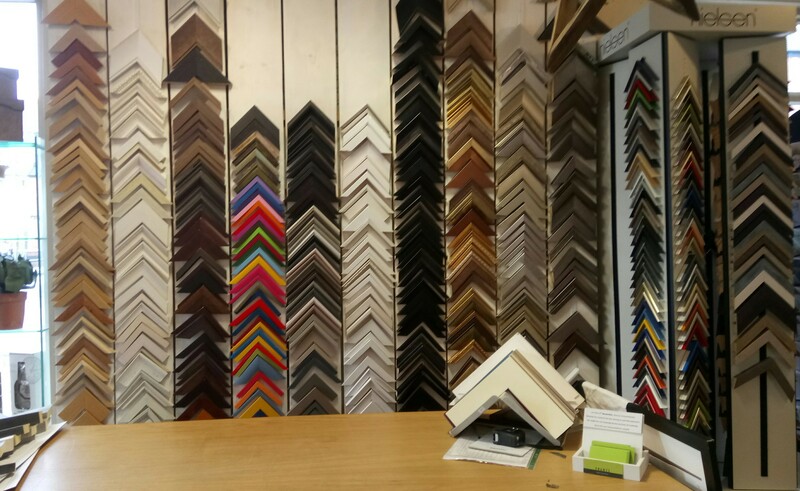 We have been framing in West Didsbury for more than 25 years. We think building a relationship with our customers is very important and equally important to understand their style and taste. We are happy to provide you with a quote at our shop, workshop or by phone but because of the many variables we are unable to provide a price list on this website. 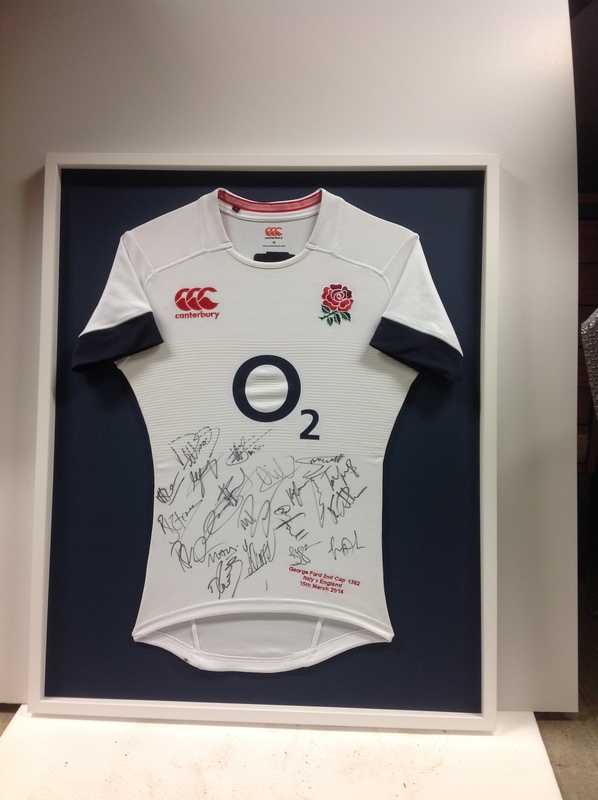 We give our expert advice and help when choosing your mount and frame. 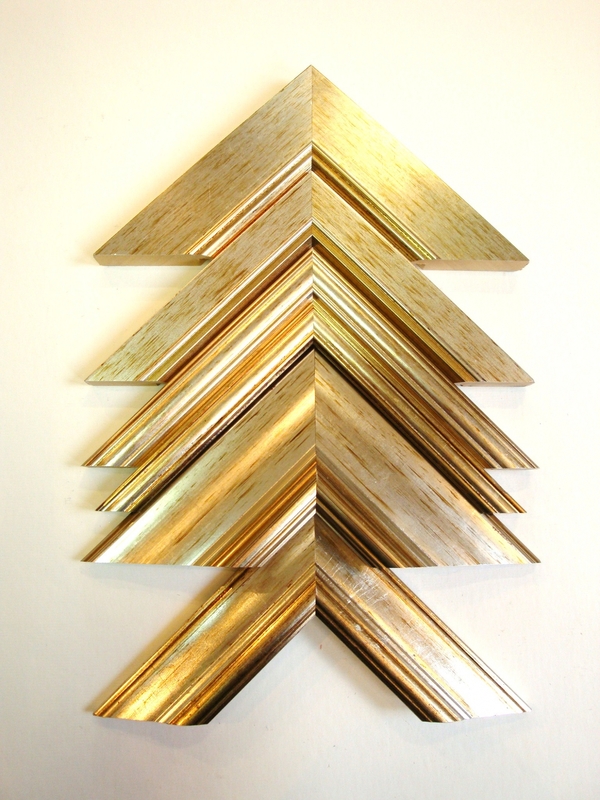 Guidance on the style of framing that will complement your artwork. We will then calculate the price based on the frame choice, mount, glass type and size. 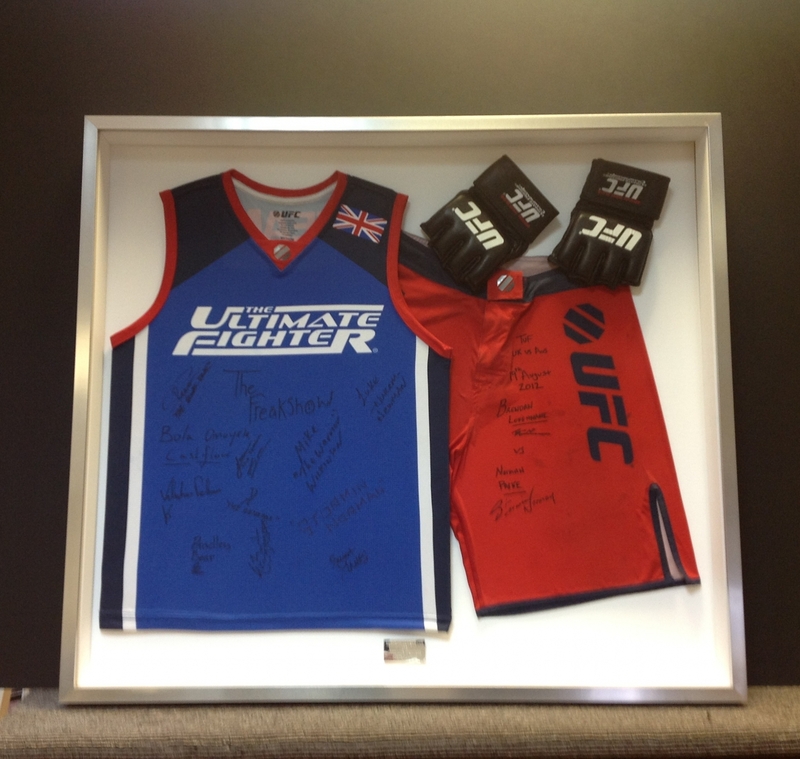 Your frame will then be custom made in our workshop and your artwork carefully fitted. Each frame is hand finished and supplied with the correct hanging fixtures. Your finished piece will be ready to collect appoximately 7-10 days after placing your order. We stock over 200 different types and have approximately 800 samples on display, suiting all tastes and pockets. The range includes solid and veneered sustainable woods. 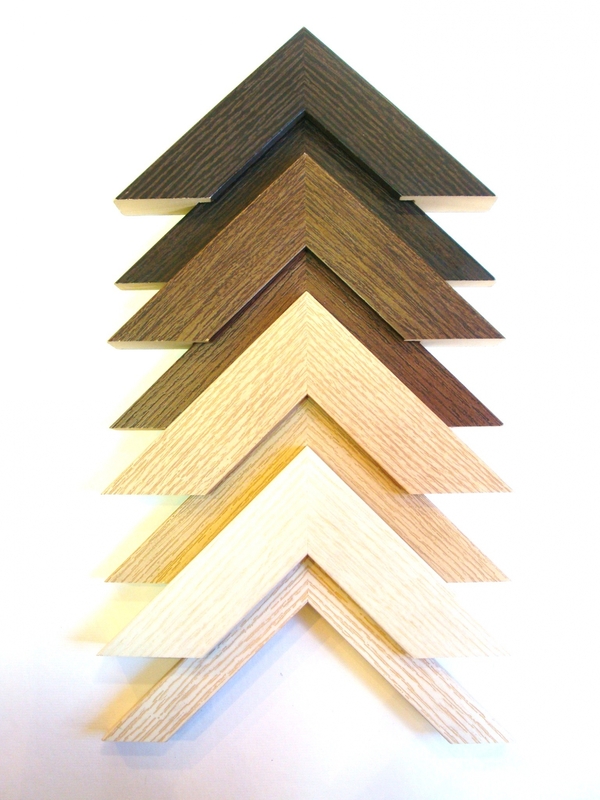 Stained finishes replicating teak, antique pine, mahogany and ebony or If its a colourful frame you need we have a lovely selection of both woods and aluminiums. Contemporary high gloss and matt finishes in black and white are also on display. 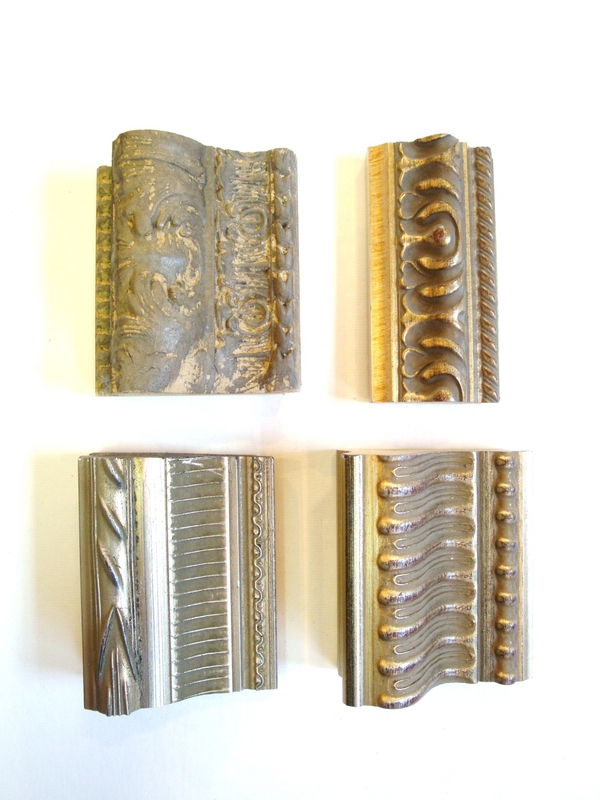 We also have an extensive range of gold, silver and metallic designs - both modern and traditional . 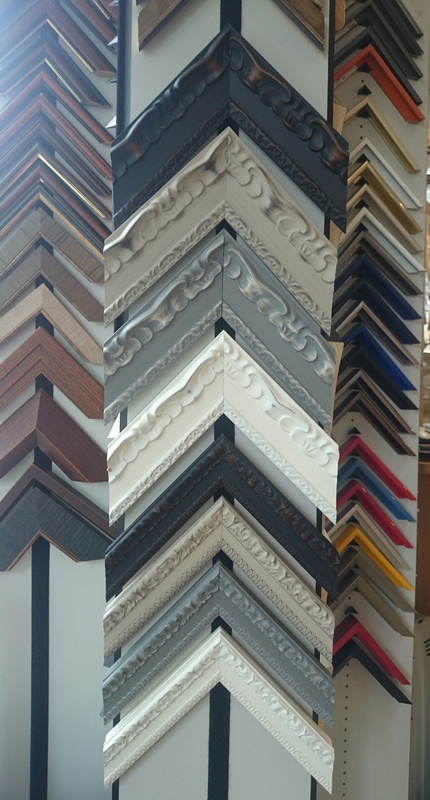 If you'd like to match an existing frame and we don't have a sample we will do our best to source it for you. Original artworks, limited edition prints, old photographs and items of age or sentimental value can be framed to conservation standard using techniques and materials that are designed to preserve and protect the artwork for years to come. We offer a range of conservation mount boards which are acid free and will not fade or deteriorate. Conservation or museum glass is used to offer protection from UV light and prevent fading and yellowing. 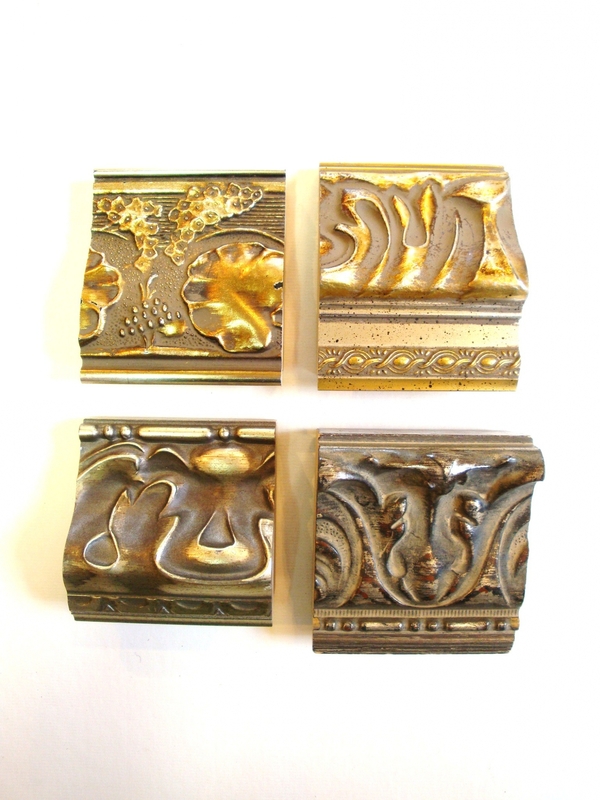 We have over 100 different colours and can offer conservation and museum standard mounts. All our mounts are cut on a Digital Wizard Cutter and cut to order. 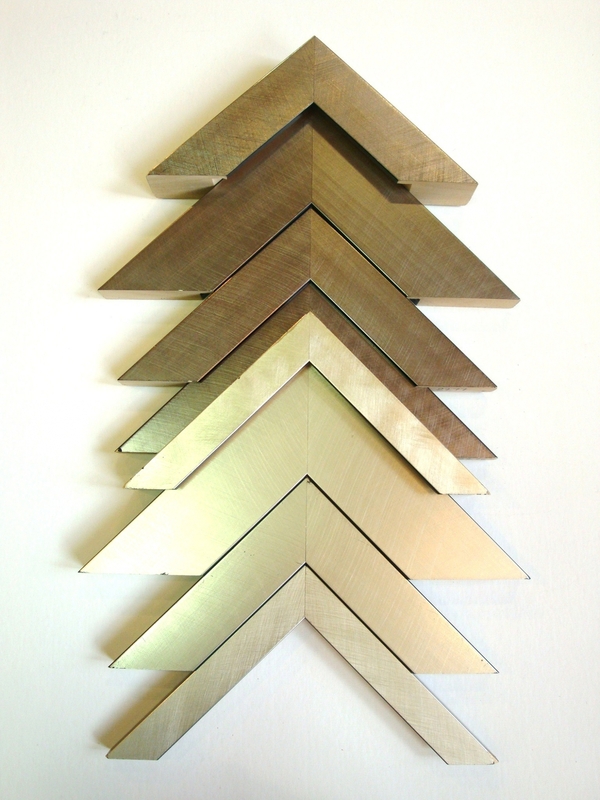 We can cut single, double, multi apeture mounts and bespoke mounts for weddings etc. 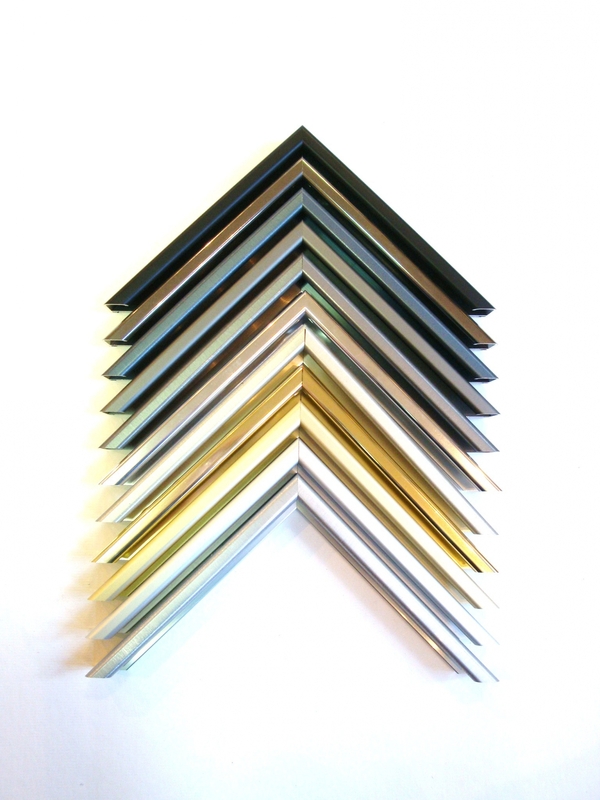 We sell silver and black aluminium frames and clip frames in a wide range of standard sizes from A6 to 70 x 100cm. 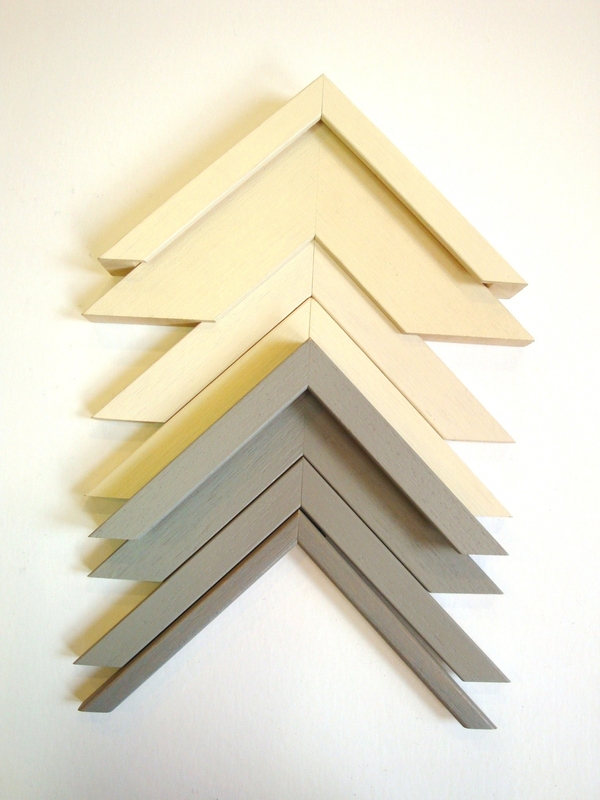 We also have available a range of wooden frames in photo and poster sizes. For large orders, galleries and corporate clients we can provide quotes and discuss requirements to ensure a high quality and competetive personal service. Whilst we normally operate on a 7 day turnaround we can discuss timescales to suit client deadlines. 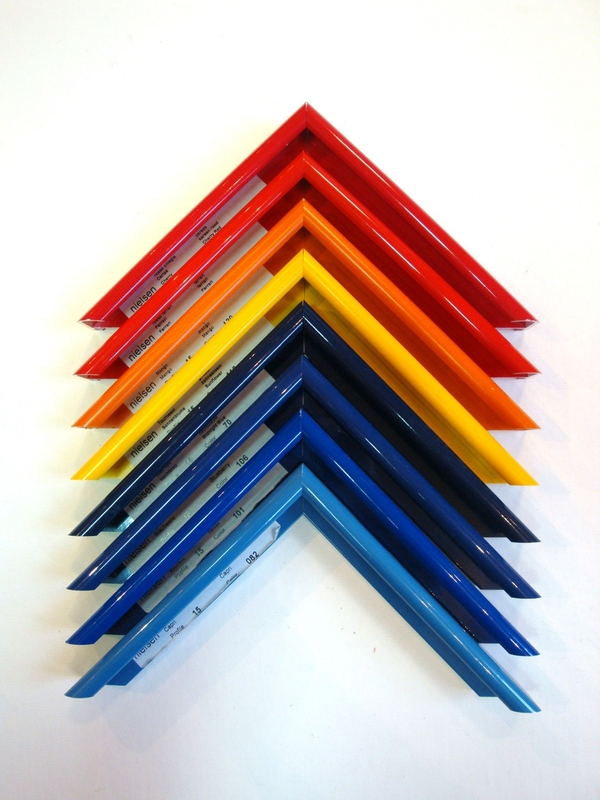 For more information about trade framing please do not hesitate to call 0161 445 2354.